Owners Tony and Brigitte will show you a warm welcome and help you discover for yourself that there is no better place to base your stay than Havelock Holiday Park. Both are committed to providing safe, clean accommodation and camping facilities for the many overseas tourists and New Zealanders who are here to enjoy the Pelorus Sounds. They encourage visitors to treat Havelock Holiday Park as their hub to explore the wider regions of Marlborough and Nelson. Use their steadily increasing local knowledge to find out all about those spots, activities and sights that are within an easy days return trip. Be prepared to stay a little bit longer than originally planned as you find out what is on offer in the region. Why stay at a Holiday Park when looking for Accommodation in Havelock? 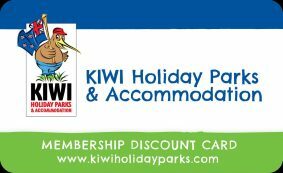 A Holiday Park is an affordable, relaxed and convenient option for both international travellers and Kiwi holiday makers. If you are looking in Havelock for accommodation, then Havelock Holiday Park is a great choice. The cabins are clean and comfortable and there are plenty of powered camping and tent sites to choose from. Don’t just take it from us, let our customers do the talking! The following feedback has been left in our guestbook in the camp kitchen. We've never seen anything like this in the States! This is our first Holiday Park and can only hope the others measure up to this one! Excellent facilities, friendly staff and very very clean! Thank you for an excellent stay! What a lovely campsite. I reckon the best in South Island. Really clean. Really well priced. Lovely to have a bath!!! - the 1st we have seen in 2 months - which my child really appreciated. Lovely staff - helpful + friendly. Thank you. Awesome place to stay! Wonderful grounds and lovely company!! Absolutely incredible location and area, awesome walk down to the wharf! Was sweet being able to have our dog stay with us too! See you next time!! Keep up-to-date with what is going on in and around Havelock this month – Boat Trips, Live Music, Wine Nights and more …..